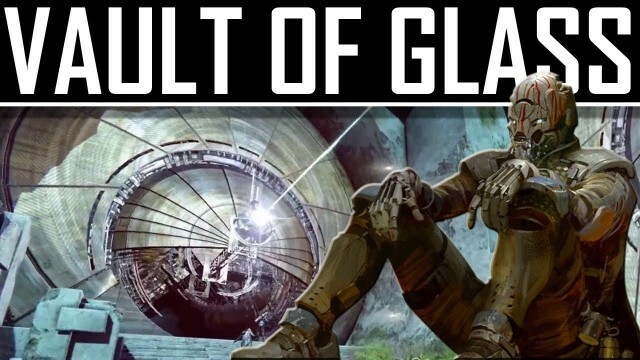 A week right after Destiny came out in public, the gaming company Bungie released the Vault of Glass which is a free cooperative “raid” designed for six players. The Vault of Glass is fantastic. It is easily the most interesting, challenging, and rewarding thing Destiny has to offer. The Vault of Glass has a laughably high bar for entry. The suggested starting level is 26, and the amount of boring repetition necessary to achieve that level should not be required of any player hoping to experience the best part of a game. The raid’s other requirement, that you organize your own team of six rather than relying on built-in matchmaking, is more understandable. Unlike the more straightforward strike missions, the Vault of Glass would be unbeatable without careful teamwork and communication. A group of strangers would be obstructed from the get-go, at least until there’s some sort of comprehensive guide everyone can follow, but that would rob the raid of a great deal of its mysterious appeal. It’s not a fair setup, and players should not be required to know and coordinate with five other equally dedicated players with the same console just to experience this stuff. The raid begins in the jungles of Venus, where a massive circular door stands in the side of a mountain. There is no explanation how to get the door to open, so each team must determine for themselves what to do. As it turns out, players need to simultaneously occupy three control points set across three different cliffs, fighting off waves of extremely difficult enemies for an extended period of time without letting a single point drop into enemy hands. Hold out long enough and the door will open, after which point the raid begins in earnest. Where Destiny holds the player’s hand to a fault, the Vault of Glass offers absolutely no explanation of what the team should do next. 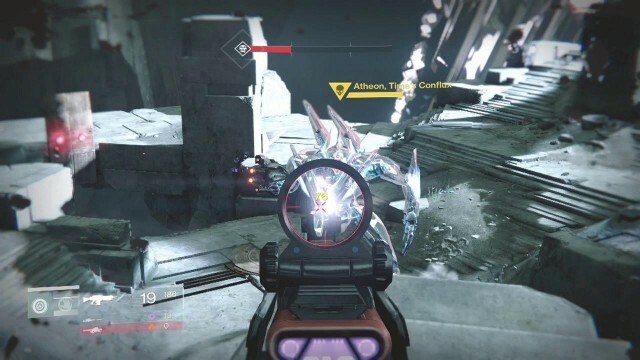 Where Destiny often repeats encounters multiple times within the same mission, the Vault of Glass offers an entirely new challenge at every turn. Where Destiny talks the player’s ear off with useless exposition, the Vault of Glass is silent, stern, and genuinely suggestive. But then, it’s not as though the two are separate entities. Destiny contains the Vault of Glass, and the Vault of Glass is a part of Destiny. Every hour or two, something amazing happens at the Loot Cave. In a matter of seconds, an absolute mess of monsters invades the battlefield. They’re relentless and overwhelming, and they come from all sides. Most of the players who have been shooting into the loot cave have powerful, high-level characters, and the resulting fracas is like seeing three crossover superhero comics scanned onto a single page. Special powers are detonating left and right, and the shadowy corners of the battlefield explode into the world’s most dangerous discotheque. For the next few minutes, Destiny is at its absolute best, six or more players, working in unison, fighting off a seemingly unstoppable force. No one speaks a word, but everyone knows what to do in such a situation.